Announcing our latest two day workshop in Longform Improv techniques. The course will cover the basic skills such as play, exploring character, longform storytelling and edits culminating in an exploration of key Longform formats and styles. 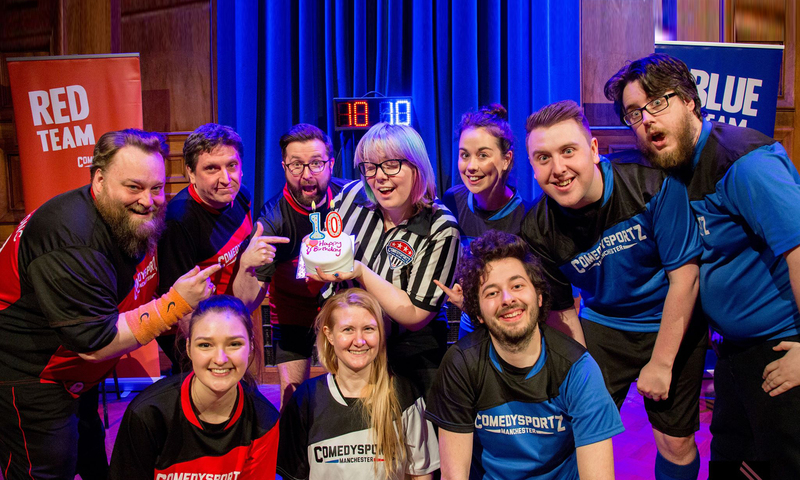 Typical ComedySportz workshops and shows focus on shortform scenes and games and this workshop will allow you to develop skills in a longer, more intensive fashion. The course is lead by Brainne Edge, CSzUK Manager and lecturer in performance (main research and practical focus on Improvisation) at Salford University and LIPA (Liverpool Institute of Performing Arts). She is also the founder of CSzUK, and developed CSzUK’s longform show ‘Lets See What Happens’, now in it’s 5th year. The course will be held at The Kings Arms, Salford in their main theatre. Spaces are limited to only 12 people so that you get as much stage time as possible. Email info@comedysportz.co.uk to secure your place. April 9th and 10th, 12.30-5.30pm each day. £70. Previous PostPrevious ComedySportz @ New Mills School!